The Jack Nicklaus Signature Golf Course at Red Ledges, a premier four-season mountain golf community just minutes from Park City, was named Best Golf Course in Utah by Best of State Awards for a sixth consecutive year. The Best of State Awards recognize excellence throughout the State of Utah. Red Ledges was awarded the “Best of State” title based on the outstanding course design by Jack Nicklaus, which integrates a mountain golf course with natural sandstone landscaping. Other judging criteria included innovative approaches and methods, as well as a significant contribution to a better quality of life in Utah. In order to further enhance the award-winning golf club experience, Red Ledges recently completed a 14,000-square-foot clubhouse. The newest Red Ledges lifestyle amenity will offer members world-class service, a fine dining restaurant and bar, luxurious locker rooms, a sports shop and casual gathering spaces for members to mingle. The clubhouse will be the centerpiece of the Red Ledges experience, with commanding views of Mt. 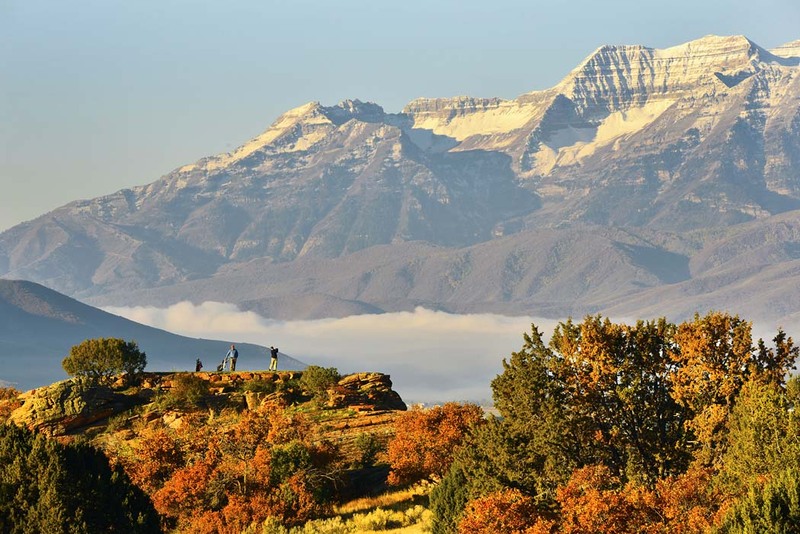 Timpanogos, the iconic red ledges and the Heber Valley. In addition to its latest Best Golf Course accolade, Red Ledges was named the 2009 Best New Private Golf Course in the country by Golf Magazine. The course was included in Golf Digest’s 2013–2014 and 2015–2016 lists of the Best in Rankings State-by-state. Golfweek recognized Red Ledges in its Best Residential Courses lists in 2014 and 2015. This year the course was also named to Links Magazine’s “Best for Golf” list in the publication’s Real Estate Issue.